Emeralds, the May birthstone, are one of the most beautiful, and most expensive, gems in the world. Before buying emeralds, you might want to learn a little more about this stunning stone. 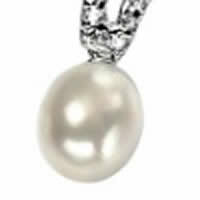 In addition to being the traditional May birthstone, it is also the gemstone for the Taurus, Cancer, and Gemini zodiac signs. Emeralds may also be the traditional gift for the 20th, 35th, or 55th wedding anniversaries. As the sacred stone for Venus, goddess of love and fertility, emeralds are also associated with love and fertility. It has been associated with love magic, such as creating spells to bring home an unfaithful lover or to ensure faithfulness. It has been said that if your lover gives you an emerald, the stone will fade or crack if your lover is unfaithful. Emeralds are created when the earth crust experiences traumatic events. 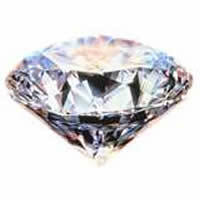 The age of the stones can range from 9 million to 2,600 million years old, making them some of the oldest gems on earth. Emeralds are an unusual combination. 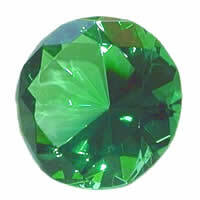 Beryl is colorless, and emeralds get their color from chromium and sometimes vanadium. However, these elements are not located close to beryl deposits, so emeralds are only created when a traumatic event, such as an earthquake, disturbs the Earth's crust enough to mix chromium, vanadium, and beryl together. Once they are mixed and reburied, an emerald will form after a few million years. Because of its traumatic creation, emeralds will have inclusions, flaws, and scratches to varying degrees. Large emeralds are very rare, making large, high quality emeralds more valuable than diamonds. Marks and inclusions are tolerated in emeralds more than in other gems, as gemologists view the flaws as part of the stone's natural beauty and character. Emeralds are a variation of the mineral beryl, and it is colored green by small amounts of chromium. It also sometimes contains vanadium. On the 10-point Mohs mineral hardness scale, beryl has a hardness of 7.5-8. Because the majority of emeralds are highly included, they are generally classified as "poor" for their toughness, or resistance to breakage. During production, emeralds are often treated with oils to increase their clarity. This is a commonly accepted practice in the gem industry. However, treating emeralds with tinted oils to enhance their color is not considered acceptable. Throughout antiquity, emeralds were mined in Egypt, Pakistan, and Austria. Today, they typically come from three main areas of Colombia: Chivor, Coscuez, and Muzo. They can also be found in Australia, Afghanistan, Pakistan, Brazil, Canada, China, Africa, India, the United States, and Europe. Occasionally, a rare emerald type is found in Colombia, known as a trapiche emerald. This emerald has a star pattern, where dark carbon impurities create a six-pointed pattern.